When you mention Chelsea to the modern football fan they will immediately think about a star-studded side that has challenged for numerous Premier League titles, bolstered by the millions invested by Roman Abramovich. It is hard for many to remember a time when the team were not one of the top flight elite but there was a time when the foreign legions that now grace Stamford Bridge were not, in fact, the norm. In the early 1990s a player who heralded from Eltham in south east London was the player that the team looked to when a goal was needed. His name was Gavin Peacock. He followed Charlton as a kid but supported Newcastle United due to the fact that his father heralded from the North East. He came from a family with footballing pedigree. His father had played for Charlton Athletic and Gavin would follow in his footsteps. 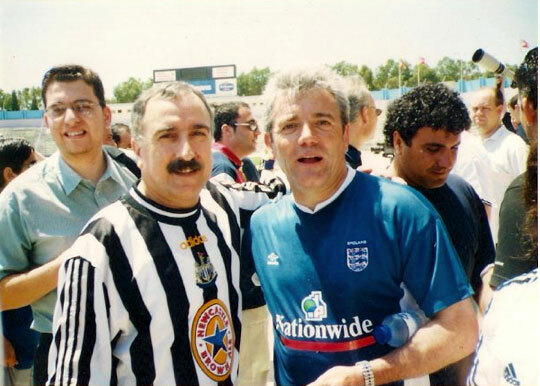 After spells at Queens Park Rangers, Gillingham and Bournemouth, Peacock got a move to Newcastle United, where he played in a side managed by Kevin Keegan. It was a massive surprise that Keegan took the job, as he had stated that he would never get back into football following his retirement from playing. Peacock moved to Chelsea for £1.25m in 1993 after requesting a transfer for family reasons. His arrival saw him play under yet another former England legend in Glenn Hoddle. Hoddle had joined Chelsea after getting Swindon Town promoted to the Premier League. Chelsea in 1993 were a very different team than they were just over ten years later when Jose Mourinho became their manager and still far removed from Antonio Conte's side. Bookmakers William Hill have Chelsea at 13/8 to win this season’s FA Cup and 3/1 to finish in the top four. Back in 1993, the odds of Chelsea doing either would have been much longer. Hoddle and Peacock in particular changed that. The Chelsea side of that year managed to reach the FA Cup final thanks to a wonderful run in which Peacock played a huge part. The forward puts this cup run as the highlight of his career and, although Chelsea lost the final 4-0 to Manchester United, they were rightly proud of their efforts. They started out with a difficult third-round tie against Barnet at Underhill. After a disappointing 0-0 draw, Chelsea won the replay 4-0. They would also require a replay in the fourth round, where they met Sheffield Wednesday. After a 1-1 draw at Stamford Bridge they then went to Hillsborough and won 3-1. The fifth round saw them beat Oxford United 2-1 at the Manor Ground before a 1-0 win over Wolves in the quarter final set up a game against Luton Town for a place in the final. In what should have been an intriguing tie, Chelsea ran out comfortable 2-0 winners thanks to two goals from Peacock. In the league they only managed a 14th placed finish but the fans and players of that era will always remember the FA Cup run that took them to Wembley. Since retiring from football. Gavin Peacock has worked as a pundit for the BBC as well as returning to education, completing both a degree in theology and a Master of Divinity with hope of becoming a pastor, vicar or minister in line with his Christian faith.